We love to travel. We enjoy the change in scenery, the break from the hustle and bustle of everyday, and in my family we particularly like the culinary experience. On a recent trip to Mexico, we discovered these wonderful seasoned nuts which were quite literally addicting. They were tangy and a bit spicy. 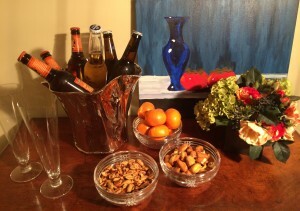 Upon our return to the states I thought they would be wonderful as an after school snack, or for munchies with a beer, fall tailgates, and festive holiday cocktail parties. We made some for a casual get together with friends and they were a big hit. Here’s how you can make your own. Preheat the oven to 250o. 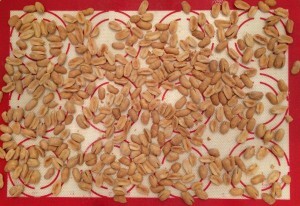 Spread the nuts evenly in a single layer on the sheet. Cut of the top of a lime and insert into citrus sprayer. 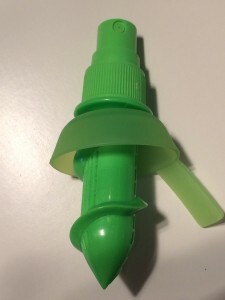 One of the kids got this as a stocking stuffer one year. If you have never tried they are great for adding spritz of citrus juice anywhere. 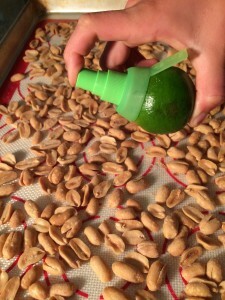 Spray lime juice evenly over nuts. Bake 4 hours or until dry and crisp. Squeeze the juice of both limes into a gallon Ziploc bag. 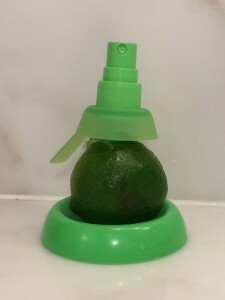 As limes tend to be drier than lemons, I use a juice press. The one I use is the Chef’n Fresh Force citrus juicer. The gear mechanism it uses reduces hand strain and produces more juice than any other juicer I have used. Add pepper to lime juice. Add nuts and shake again until all are coated. Bake as above. Once they are dry take them out of oven to cool. They should have a rich caramel colored coating on the underside of the nut. 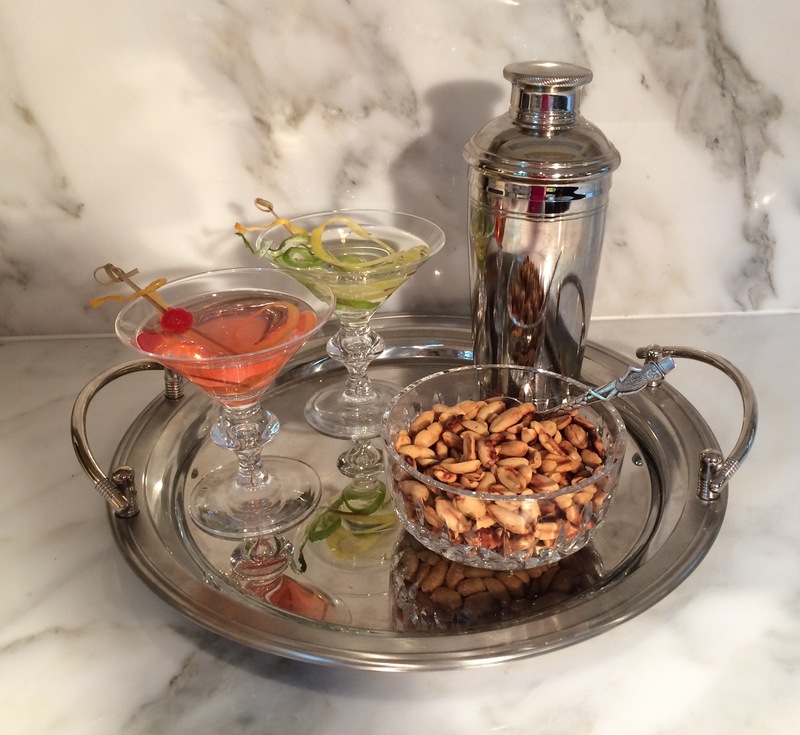 Note: For more casual settings they pair well with pretzel nuggets. Note: You may increase the spiciness to your taste. 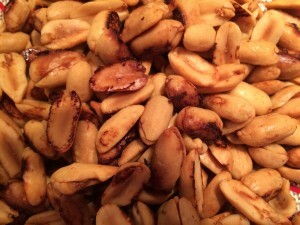 If the mixture is too spicy, you may add some plain peanuts to decrease the overall spice. Feature image: Glasses Steuben. Bowl Waterford. Above: Bowls Ralph Lauren. Ice bucket Zodax, note the ice bucket comes with a great attached scoop so it doesn’t get lost!